Back in the day, you’d see motorcycle riders sporting a get-back whip hanging from their brake or clutch lever. 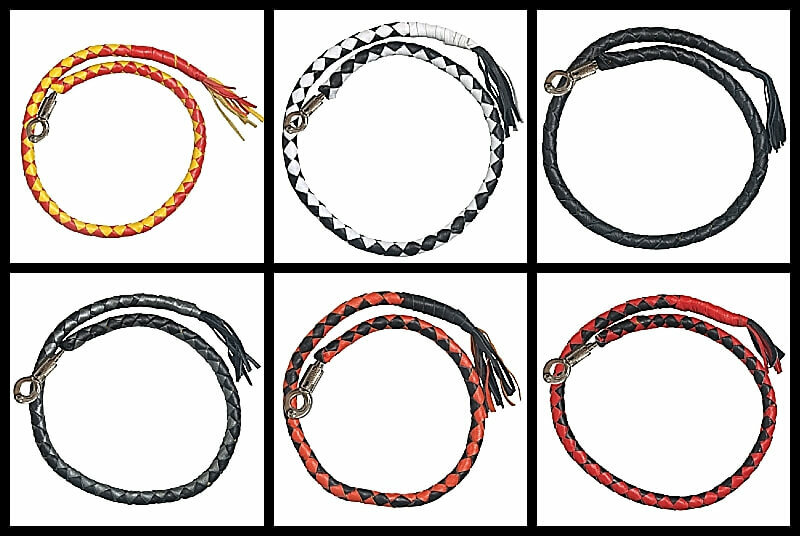 The leather get-back whips were usually made in the motorcycle club colors to display their colors and for club recognition. Get-back whips originally began sometime in the 40’s mostly seen in California. These “old school” accessories are now returning to the motorcycle culture and are becoming very popular across the country. You do not have to belong to a motorcycle club to own one of our handcrafted get-back whips. Measure and choose the length that is right for you from top of lever to your desired length. If you have floorboards you might want to keep it off the floorboard so you don’t step on it, however it’s a personal choice how long you want it. The getback whip come in a length 36" .